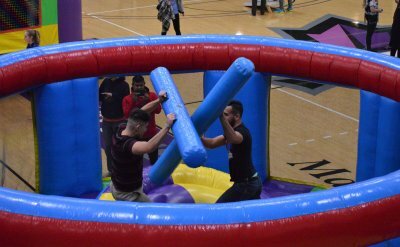 Campus Activities Council hosted the 2nd annual Winter Carnival with food, inflatables, games, prizes and a rousing rendition of Family Feud. 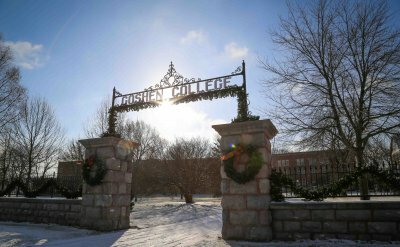 Photos from around Goshen College in December, 2017. 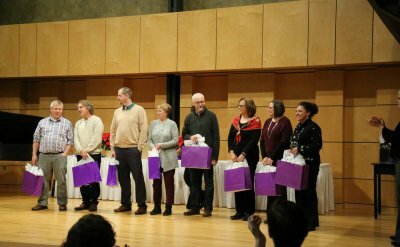 Goshen College recognized 27 employees for reaching milestones at the college. 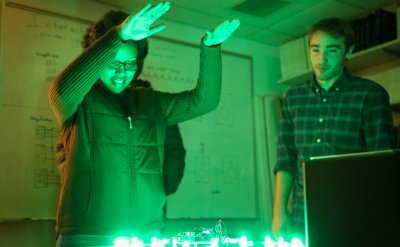 Students in the Electronics class taught by Physics Professor John Buschert demonstrated their robotics and electronics projects. Most of the projects use the popular Arduino microcontroller board, which can be connected to a variety of sensor and can control motors, lights, sounds and other outputs. 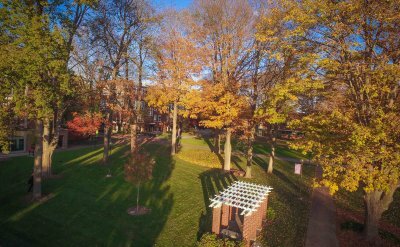 Photos from around campus in November 2017. 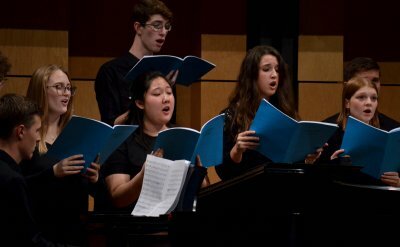 The Goshen College Chamber Choir presented the world premiere of “Mennonite Songs,” a new work for choir by composer Bruce Trinkley, with text by poet and Goshen College alumna Julia Spicher Kasdorf, on Tuesday, Nov. 7, in the Goshen College Music Center’s Rieth Recital Hall. 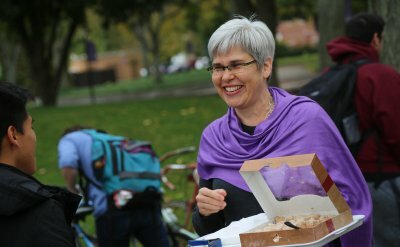 President Rebecca Stoltzfus began her official duties on Nov. 1, 2017, by sharing sweet treats with people across campus. 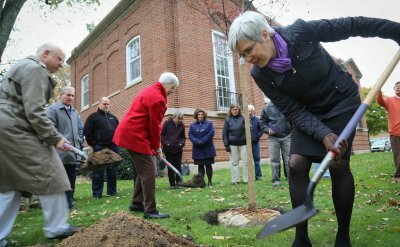 On Wednesday, Nov. 1, the campus community planted two new trees in honor of 1936 graduates Evelyn (1914-2017) and Carl Kreider (1914-2002), Dean Emeritus and Professor of Economics Emeritus. 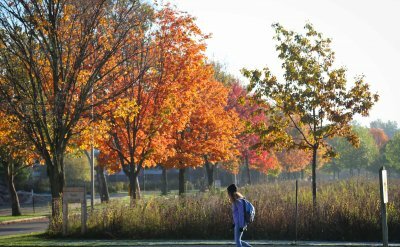 Photos from around campus in October, 2017.